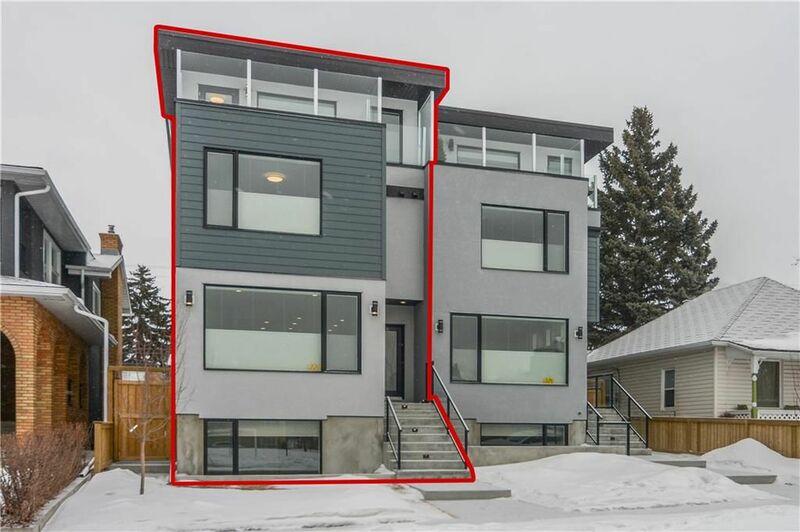 Located in the Heart of Bridgeland, this incredible family home is a showcase of quality craftsmanship beyond compare. Its absolutely spectacular views of the sparkling downtown skyline with the majestic Rocky Mountains in the distance are unparalleled. The plethora of amazing features include upgrades through-out all levels including 9ft ceilings, Italian porcelain tiles, engineered wide plank hardwood, solid core doors & central air just to name a few. The open concept main level showcases a beautiful kitchen with custom cabinetry, quartz counters & top of the line Dacor/Bosch appliances. The exquisite master retreat features a brilliant view from its vast windows & private balcony, a fireplace, huge walk-in closet & a luxurious ensuite with soaker tub & walk-in shower. Also includes heated floors in both ensuites & basement bathroom. The basement is finished with a media room & a bedroom with its own view. Located just steps to restaurants,coffee shops,LRT & only minutes from downtown.